Sorry, we no longer sell this product. Get to know the Holy Ghost, from baptism on! This engaging book provides fill-in-the-blank stories, coloring pages, and other fun activities for your kids to help get them ready to receive the Holy Ghost and rely on Him for the rest of their lives. Come to understand and feel the Spirit, one of the greatest gifts from God. This incredible gift, if you know how to use it, will change your life forever in wonderful, amazing ways. It means that you are never alone, ever. But how do you use this special gift? The Holy Ghost does not have a simple "ON" button. It can take time and practice to hear and recognize the Holy Ghost talking to you. But this book can help you figure it out! Jane Delve has been painting her whole life, starting out small with jobs as an illustrator for a local newspaper and as a muralist for a local children's nursery. She studied art, design, and animation at a college in London and later at the University of Wales. Since then, Jane has mostly painted on commission, specializing in stylized family portraits on large canvases. She has also illustrated the children's book Emily's Perfect Christmas Tree and will be teaching local art workshops this summer. Jane and her husband Ben have three children and live in Bridgend, Wales. My daughter is at the top end of the suggested ages for this book and she loved it! Some of the activities seemed a bit young for her but there were others that she was interested in. The author uses different icons throughout the book for expert tips, crafts and games, fill in the blanks and questions to answer, and stories and advice from other children. I love the short messages she shares and then fun activities to reinforce them. It's a great resource for a child to learn from and then teach a lesson in Family Home Evening. This will make an excellent gift for anyone preparing for baptism or anyone that wants to learn more about the gift of the Holy Ghost! I received a copy of this book from the publisher for an honest review. My opinion is 100% my own. Love this simply adorable book! This book is simply adorable! I love the way it's like a coloring book, but it teaches about the Holy Ghost. There are places for children to finish pictures, write about themselves and things they like, games for them to play and advice from our prophets and church leaders about how they can best use the gift of the Holy Ghost in their lives. There is even a cute comic book for the kids to read near the end of the book! I love the cute illustrations in this one. It's just a fun book. Perfect for those preparing themselves for baptism, or for those who are learning to use the gift of the Holy Ghost. I think that some of this is even a great reminder for those of us who have already been baptized and just need a refresher. I can't wait to use it in our family's Family Home Evening lessons! I was sent a copy of this book in exchange for an honest review. When I first opened it up, I was surprised at how lengthy it was. It has nearly 80 pages of activities and information from Fill-in-the-blank to word searches to matching games to mazes to comics and so much more. There are also icons throughout the book with extra nuggets of information, like the “Expert Icon,” which included a quote from a prophet or general authority. I really like this book because it is incredibly interactive. It gets a child to think and reflect, and to really learn to understand the divine Gift of the Holy Ghost. This is done through multiple questions being asked of the child in the book, as well as opportunities to write down thoughts, personal characteristics, and experiences. This book does an excellent job of explaining who the Holy Ghost is and what He does for us, how the Gift of the Holy Ghost is different from the Power of the Holy Ghost, how we can keep our baptismal covenants, how to use our new gift (such as through prayer), and so much more. I love how scripture stories are interwoven to each teaching moment. 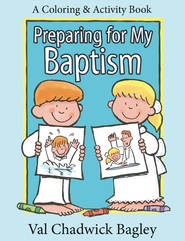 I am very impressed by this incredibly thorough and fun book, and would be a perfect gift for a child getting baptized soon (or who has just gotten baptized). Valuable title in helping children understand the value of the Holy Ghost. 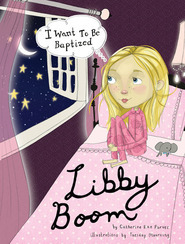 For young children who have just been baptized this book makes a great gift. The book explores the concept of who the Holy Ghost is, the difference between the influence of and the gift of the Holy Ghost and the many different roles the Holy Ghost has. In addition to explaining basic doctrines about the Holy Ghost, there are activities and codes and scriptures as well as questions and memories for the child to record his/her thoughts. Quotes from prophets and scripture story references and family home evening suggestions make this a great reference for family time as well as personal time. Ideas for developing the gift, serving others, and following the commandments are also all included. I think this makes for a great way to help children develop a better understanding of the Godhead and the Holy Ghost specifically. I have only one rather minor quibble and that is the phrasing on one statement in the book where it states that the Holy Ghost appeared AS a dove when Jesus Christ got baptized. I felt like this should say LIKE since that is the word that the Bible uses. Other than that though I thought the book does a fine job of providing a multitude of ways for a young child to learn about the important roles and value of having the Holy Ghost in one's life.